We, humans, have a tendency of taking constant breaks. In these breaks or leisure time, we do certain things to entertain ourselves. One of the most used leisure time activity is watching videos. Whether they are songs, movies, cartoons, sports, or any other such clip. We enjoy these a lot. The TVs are now considered vintage, courtesy to the computers. Windows 10 screens are now preferred to watch the videos. There are several options available to use when one looks for the video players for Windows 10. But, which one is the best? In this post, I’ll list the 7 Best Video Player for Windows 10. If you start searching for a video player for Windows 10, you’ll end up with a long list of options. All these options have their own perks and shortcomings. I’ll try to help you decide which one should you use. Which one is the best suited according to your needs? Which one will become your favorite? All these questions shall be answered automatically by the time you end reading this post. We’ll take a brief look at the 7 Best Video Player for your Windows 10 PC. This is the most popular and most used entry on our list of 7 Best Video Player for Windows 10. Though it deserves all the fame it has because of its features. That’s why it is the topper of our list. You might have already used or currently using VLC Media Player. It is a free and open-source media player that is available for all multiple platforms. It is created by the VideoLAN project and, VLC Media Player is known to support a vast number of audio and video compression methods and file formats. Over the course of time, VLC has gained the reputation of being the “play everything” video player. A lot of other video players are developed on the blueprint of VLC. It is fast, simple, customizable, and wonderful. 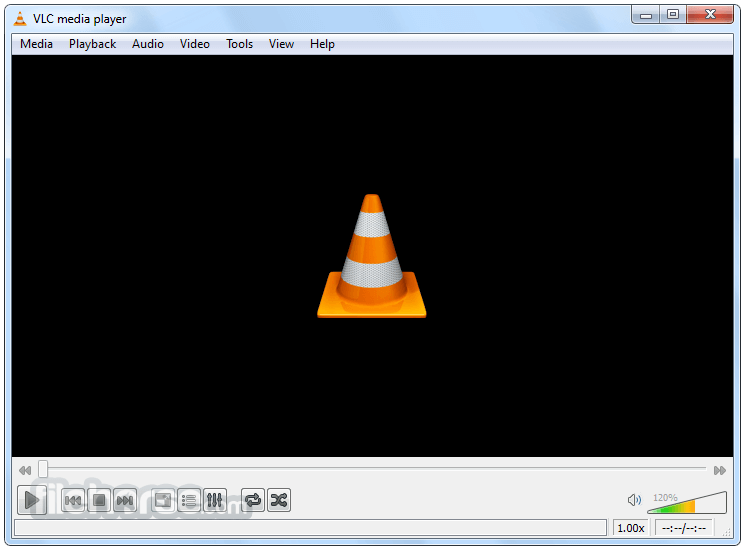 Download VLC Media Player from here. This is another popular entry on the list, and it is also worth the trust it has earned in a shorter period of time. 5KPlayer is a simple, easy-to-use, and beautiful video player for Windows 10. It has an attractive user interface that is sure to captivate you. 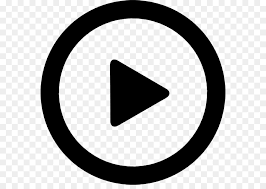 This player can play video files in a wide range of formats like AVI, FLV, MKV, MTS/M2TS, H.265/264, VP8/9, WebM and many more. Whatever media file you open using this, it will play it smoothly. Additionally, you can download videos from websites like YouTube, Vimeo, DailyMotion, etc using this video player. 5KPlayer is an absolutely amazing choice if you are looking for a good-looking and feature-rich video player for Windows 10. This is a lesser-known entry on the list but it deserves to be right up here on the list. PotPlayer is developed by South Korean internet company named Kakao. It is a great choice for the default video player on your Windows 10 computer. It supports many file formats, even more than VLC Media Player. PotPlayer offers the techniques like CUDA, QuickSync, and DXVA, PotPlayer. You can use these explore maximum performance and a lightweight experience. Additionally, you can select between sound cards, bookmark your favorite scenes and preview them. You also have filters for brightness, contrast, hue, noise reduction, etc. Lots of built-in keyboard shortcuts and hotkeys are present as a bonus. You should definitely try this at least once. 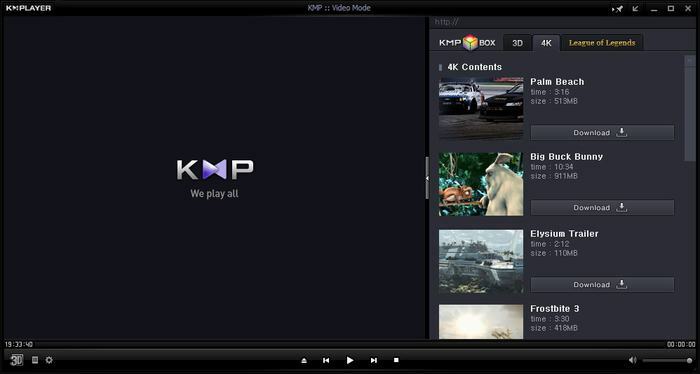 KMPlayer was first released in 2002. It was later acquired by a Korean streaming company, Pandora TV, in 2007. It is one more great and free video player for Windows 10. 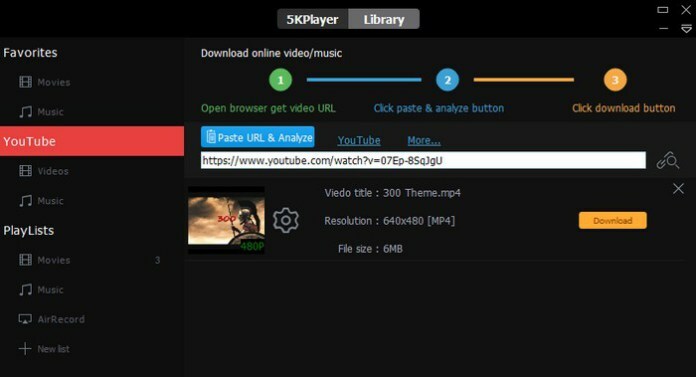 KMPlayer is able to play almost all mainstream video and audio files. The best thing about this is that it has an inbuilt codec for Windows 10. So, the users don’t have to look for any different codec. If you want to increase its compatibility even further, you can add external codecs. The users can enjoy high definition videos on with the support for 3D, 4K, UHD support. It also features the ability of editing subtitles right inside the player. 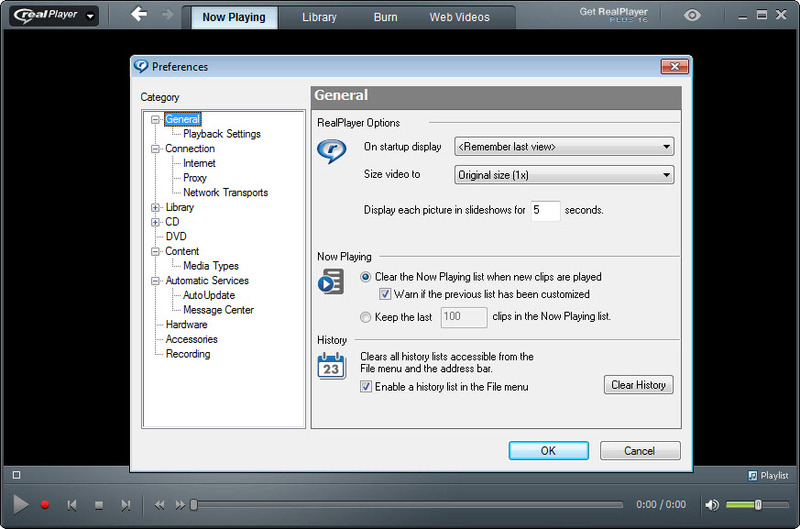 RealPlayer is a well-known name for the Windows users. It is a basic and simple video player for Windows 10 which is able to play almost all the usual formats. The list of supportive formats include MP3, MP4, QuickTime file format (.mov, .qt), Windows Media format (.wma, wmv), and the proprietary RealAudio (.ra, .rm) and RealVideo (.rm, rv, rmvb) formats. It also offers a very convenient online video download function. You don’t have to be confused if you need only a simple video player to watch your favorite movies, just choose this. Gretech Online Movie Player, or popularly known as GOM Media Player is a completely free video player for Windows 10. It has an inbuilt support for the most popular video and audio formats. Along with the basic ones, it also has many advanced features like A-B repeat, Media Player Capture, speed control, audio & video effects, screen capture, and many more. It also offers the choice to change skins and customize certain other appearance aspects. You can also use the GOM’s own library to download lots of subtitles and enjoy movies and TV shows in your preferred language. Isn’t that enough to try this video player? Try it. Download GOM Media Player from here. This might not be the most feature-rich option to use, but it definitely deserved a spot on our list due to its classic interface. Media Player Classic is a lightweight and very simple to use video player for Windows 10. It is basically like the classic Windows Media Player but with some additional features. This video player has all the basic features, along with the built-in codecs for MPEG-2 and LPCM, MP2, AC3, etc. It also supports DTS sound and, so a good option to have fun watching movies on your Windows 10 computer. Download Media Player Classic from here. These were the 7 Best Video Players for Windows 10. I hope you have now found the perfectly matched video player for your Windows 10 PC. For any queries or suggestions, head to the Comments section. Hope I helped you. Thanks for sharing Best Video Player for Windows. I’m used PotPlayer. i think potplayer is the best video player for windows.Please Keep us sharing more interesting posts.